Description: The All New "RAVEN" 9mm. 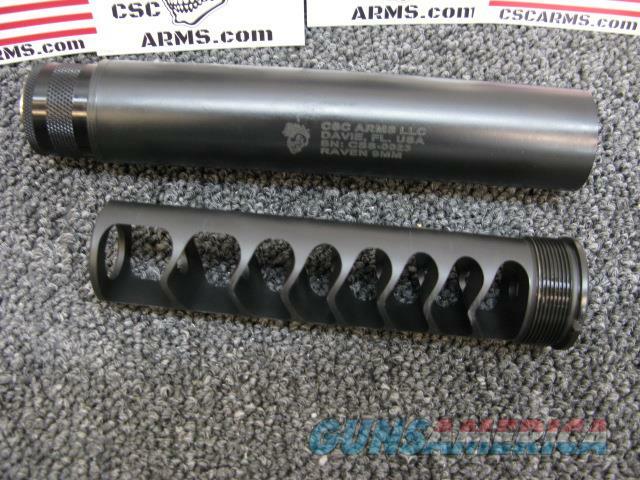 One Suppressor Multi Caliber. ? 9mm, .22LR, 5.56/.223, 300 Blackout, And.308. 100% All Titanium, Titanium Mono Core. Weight without Booster is 10 oz. Length 7". Diameter 1.5". Cerakoted in High Temp To Withstand Temp to 1400 Degrees. Full Auto Rated. 35% Noise Reduction. Easy Takedown with Spanner Wrench. Class 3 Item. All NFA Rules Apply.